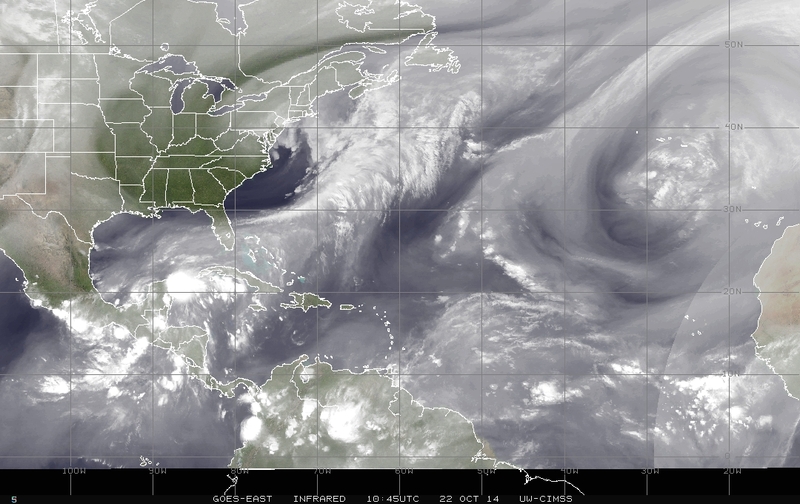 The weather system over the Bay of Campeche and the Yucatan peninsula, now Tropical Depression NINE, is drifting rather slowly toward the east across the Yucatan peninsula where it is generating plenty of rain. The latest forecast has TD NINE emerging over the northwestern Caribbean, but there is uncertainty as to what it will do once it is there. It is possible that it will continue toward Cuba, but there is a chance that it might turn toward the Gulf and Florida. We will have to wait and see, while we monitor TD NINE closely. 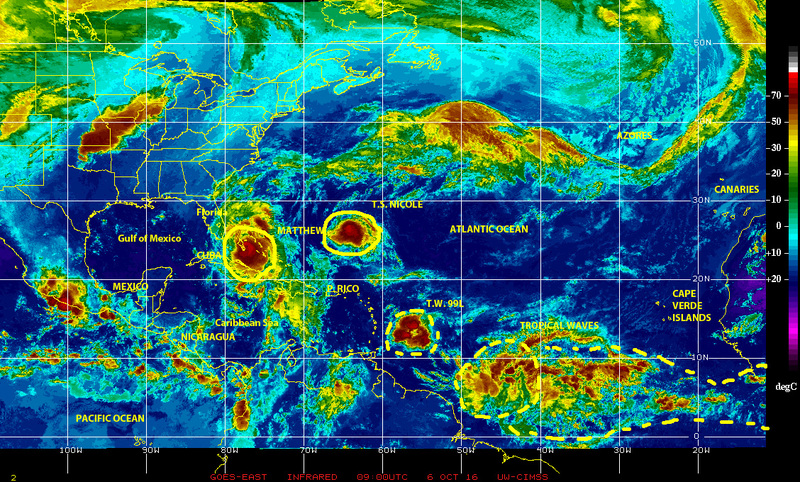 Meanwhile, a large cell of disturbed weather between the Yucatan, Cuba and the Florida straits has been generating copious rain over South Florida since yesterday (Tuesday 21 October 2014), causing flooding in several areas, especially in Palm Beach County. 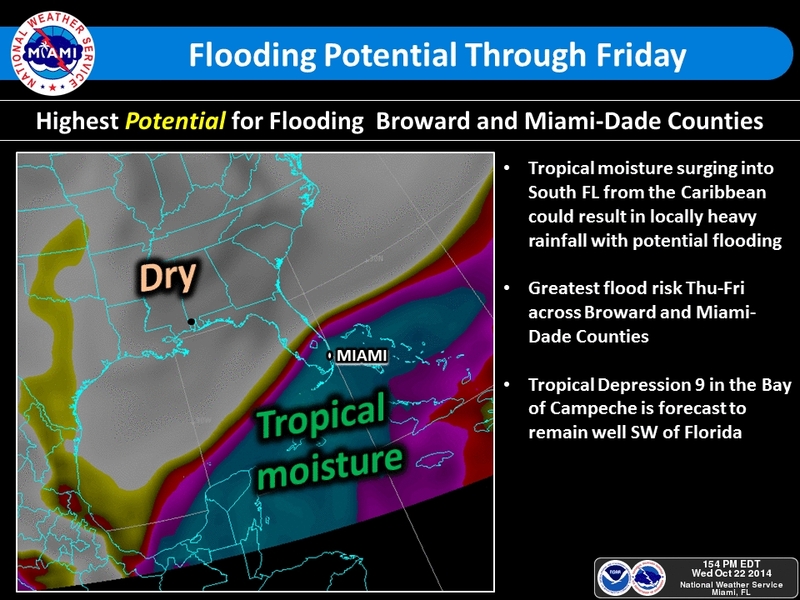 This disturbance will continue tracking over South Florida where more rain and flooding are expected, especially on Thursday and Friday of this week. 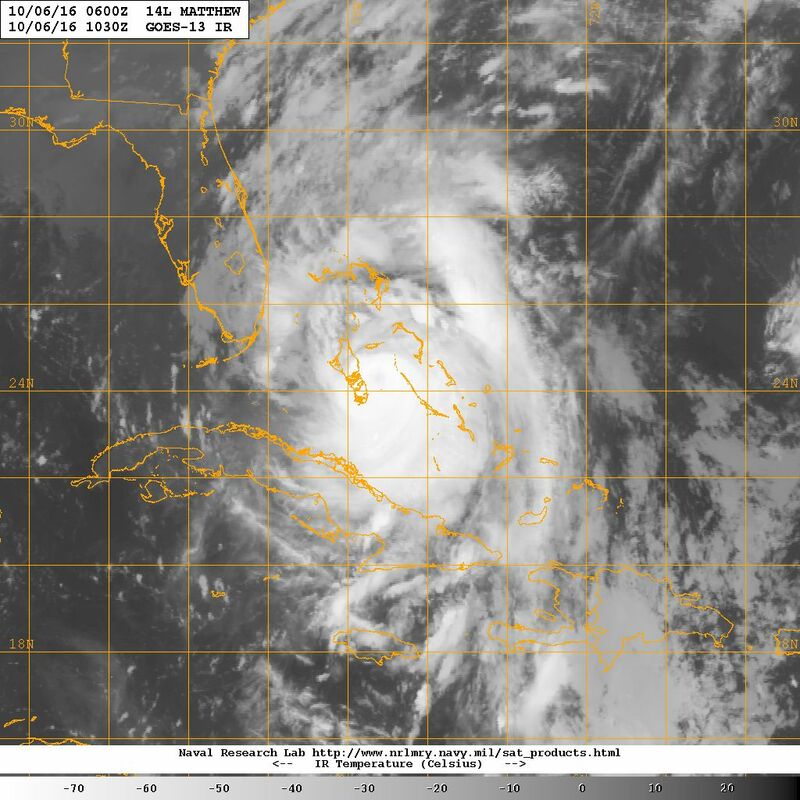 This Friday 24 October 2014 is the ninth anniversary of Hurricane Wilma crossing of South Florida, which will mark nine years without a hurricane making landfall in Florida. The luck of the draw may have been in our favor all of these years, but we will do well to remain alert, be prepared, and keep on practicing MITIGATION!